I am about as excited to announce this thing as I have ever been about announcing a thing. What is that thing? I am one of the authors who wrote one segment of this play, (the title of my section is #goddess), to be presented next March in London on the West End. Tickets are on sale now! Black Static #36 is out! In addition to my column, “Blood Pudding,” there are stories by Jacob A. Boyd, Stephen Bacon, Tim Waggoner, Christopher Fowler, V.H. Leslie, and Ray Cluley plus Stephen Volk‘s regular column “Coffinmaker Blues,” reviews by Tony Lee and Peter Tennant, an interview with the incomparable Nina Allan and the usual assortment of exceptional artwork. 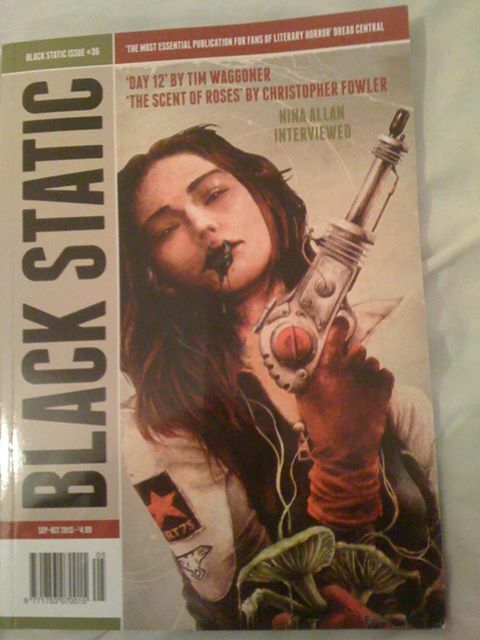 Black Static is one of the premiere print magazines of the horror field, so if you love horror fiction and want to keep up with some of the best short fiction work being done in the genre, I highly recommend a subscription. You can also get it on Kindle in the US and in the UK. Oh, and if you can’t get enough of my writing, you can still buy my book.